Perfect for Corporate Meetings, Retreats, Holiday Parties, and More! A lot goes into planning a corporate retreat. Depending on the focus of your company’s gathering- whether it’s team-building, product roll-out, worthy recognition, etc-you’ll choose the destination or venue best suited for your occasion. The DC area is quite popular with companies looking to combine business with a tourist destination. Corporate retreat centers near Washington, DC are everywhere. Amidst the hustle and bustle of our nation’s capitol you’ll find plenty of conference centers, suitable for your corporate retreat. And, certainly, you want those invited guests to be able to see the sights and come and go during the off hours. However, when your group convenes with specific-and important-tasks in mind, you need the full attention of everyone present. Among the corporate retreat centers near Washington, DC, you need a place that will hold their attention. Your employees and associates need to take a step away from the daily grind and into a venue in which they can completely immerse themselves in your company’s agenda. When you’re looking at corporate retreat centers near Washington, DC, consider Rose Hill Manor in historic Leesburg, VA. At Rose Hill, your invited employees and associates will enjoy the time spent together, be able to devote their attention to the business at hand, and have fun exploring the many attractions that make the DC area a popular destination. To learn more, or to request a venue tour, contact us to day. Call 703-771-9177 or fill out a contact form! Rose Hill Manor allows your corporate group to break away from the everyday. Not only will your sessions be held in a stunning venue, surrounded by 23 acres of Virginia countryside, but your team will find the venue more conducive to creativity and concentration. Inside, as well as outside, Rose Hill Manor offers an experience that’s beyond the usual function experienced at other corporate retreat centers near Washington, DC. You have three rooms to choose from for your company’s retreat. Depending on the total number of those in attendance, you may opt for the Entrance Hall, the Small Ballroom, or the Grand Ballroom. We also have one of the largest patio venues in the state of Virginia. Imagine hosting a portion of your retreat outside, in view of the Blue Ridge mountains. The Grand Ballroom can be used for large groups, and lends itself nicely to awards ceremonies and celebratory wrap-ups, after company business has been conducted. There’s room for a large sit-down dinner, a small stage, and even music and dancing, should you desire. The Grand Ballroom has french doors which open onto the vast patio at Rose Hill Manor. For small and intimate business meetings and corporate retreats, the Entrance Hall works well. Not nearly as opulent as the Grand Ballroom, the Entrance Hall is beautifully detailed and well-appointed, yet small enough for those company gatherings and seminars hosting a minimal number of guests, or for meetings of select guests separate from the larger group, such as company officers, management, sales group and the like. There’s plenty of room to meet, greet, and get down to business. For mid-sized groups who may want to mix business with pleasure, the Small Ballroom is ideal. You can host your corporate gathering, complete with presentations and guest speakers, just like you can in the grand ballroom. You can even host dinner in the Small Ballroom, if you like. The floor to ceiling windows in the Small Ballroom provide a magnificent view of the grounds and surrounding countryside. Our spacious and breathtakingly beautiful manor house is the ideal setting for your corporate gathering. We have three distinctive, elegantly appointed, areas which can accommodate any size gathering. From the most intimate get-together, to the event-of-the-year, you’ll find the perfect space. The Grand Ballroom large enough for a crowd, yet allows for easy mingling. For a celebratory corporate event such as a holiday or retirement party, dancing and DJ’s fit right in. The Small Ballroom lends itself to a less populousgroup, yet still allows for a party atmosphere. Guests can enjoy speakers, slide show presentations and awards ceremonies right from their seat, and dinner can be a sit-down affair, or served buffet style, with ease, in either space. For a more intimate group, we suggest the Entrance Hall. Echoing the traditional elegance of the ballrooms, and the manor in general, the Entrance Hall is ideal for small group meetings, seminars, awards dinners, celebrations and the like. You’ll find no other corporate event venue in Northern Virginia that’s as easily accommodating as Rose Hill Manor. 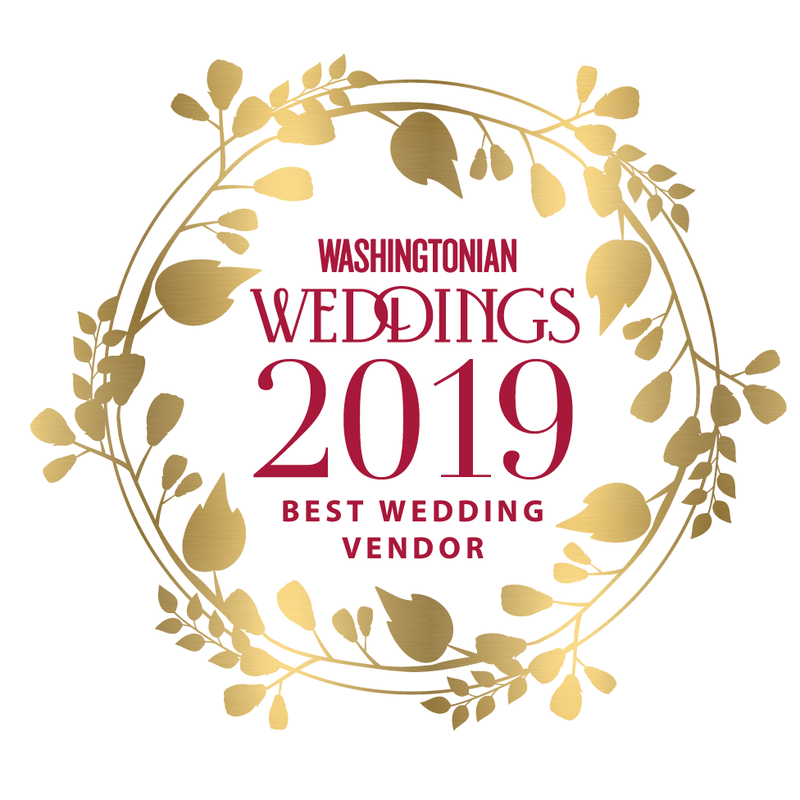 Our recommended vendors are among the best in the area and, unlike the usual corporate events venue in Northern Virginia, we will allow you to bring in your own team. From decor, to food, to entertainment and sound systems, your gathering will reflect you and your business in a unique and remarkable way. One-of-a-kind events can only happen at a one-of-a-kind corporate events venue in Northern Virginia. For your next corporate occasion, forego the traditional corporate events venue and come see what Rose Hill Manor can offer. From the time you enter the property, see the rolling countryside, and take in the beauty surrounding the finest corporate events venue in Northern Virginia, you’ll understand why so many businesses choose Rose Hill Manor for their corporate event. Don’t invite your associates to a bland affair. Dazzle them instead. Invite them to a memorable corporate event at Rose Hill Manor. To learn more about our Northern Virginia corporate events venue, call us at 703-771-9177 or fill out a contact form!